Armenia is sited over the rocky highlands overlooking Mt Ararat. It is a country blessed with several tourist attractions— monasteries, forts, and churches. 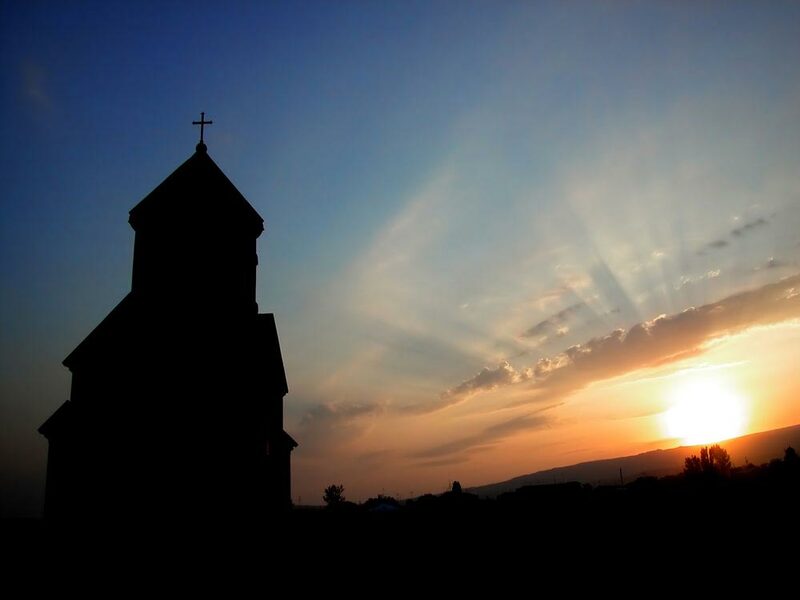 Some of the interesting places to visit in Armenia include the Tatev Monastery, Geghard, Amberd, Yerevan Zoo, Dalma Garden Mall, Etchmiadzin Cathedral, Zvartnots Cathedral, Haghpat Monastery, Sanahin Monastery, and Hayravank Monastery. This landlocked country boasts of one of the largest freshwater lakes in the world – Lake Sevan. These are not the only tourist attractions in Armenia. There are five beautiful canyons in Armenia. It has over 200 curative mineral springs of varied composition and temperature. Other travel destinations include galleries, discotheques, nightclubs, and casinos. Armenia gets its name from the Old Persian Behistun inscription as Armina. The Republic of Armenia covers an area of 11,484 square miles. Its geographic coordinates are 40 00N, 45 00E. The Forts and Castles of Armenia attract a large number of tourists. 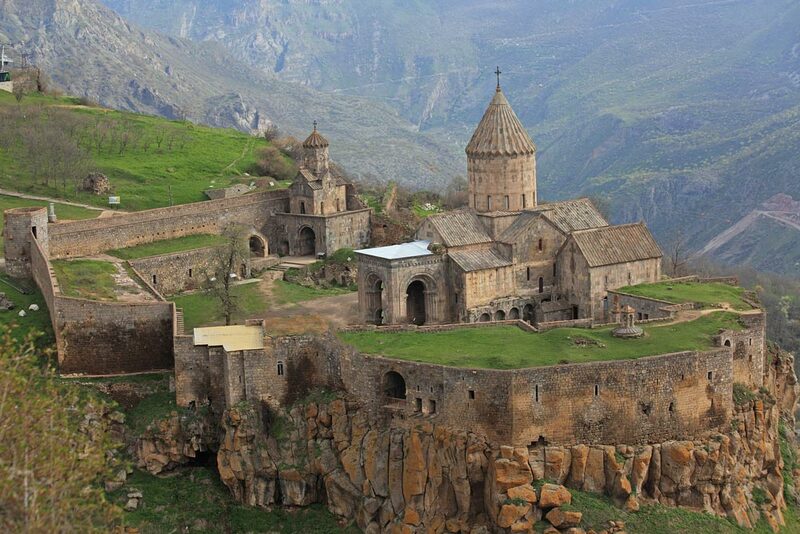 These forts and castles in Armenia are not only beautiful but they are the symbol of rich culture of Armenia. The Forts and Castles of Armenia tell a lot about the history of Armenia. This castle of Armenia is an Armenian attraction and is located near Marduni, on the Getik River. You have to climb a peak to reach the castle. This Fort of Armenia belongs to the 7 th century. It is just situated in the slopes of Mount Aragata. Byurakan village is just at a distance of four miles. The fort went to the hands of House of Pahlavuni after four centuries. Prince Vahram Vachutian Pahlavuni remodeled it. The fort was strengthened with strong walls. The fort has a doomed church with valuable inscriptions. The castle has a bath house also. The Seljuk Turks and the Mongols destroyed it in the 11 th and 13th century. Erebuni Fortress was actually a military base built by king Argisti in 782 BC. It is situated in Yereman. Namrun Kalesi was a beautiful castle in the Taurus Mountains and Armenian Hethumid princes lived here. The castle was earlier known as Lampron. 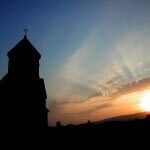 Armenian Library and Museum of Armenia – one can witness the growth and development of Christianity in Armenia here. Ararat-Eskijian Museum – Evidence of the migration of Americans to U.S.A is found here. Armenian Genocide Institute Museum – Contain materials on history of Armenia. Cafesjian Museum Foundation of Armenia – Known for contemporary art and culture. Sergej Parajnov Museum – Known for exhibitions and biography. There are some more Armenia museums which are also a must visit are State Museum of Armenian History, National gallery of Armenia, Memorial Museum of Painter Minas Avetisian, Museum of Children’s Creative Work, and Museum of Folk Art of Armenia. Armenia is gradually emerging as a shopping paradise for thousands of tourists. World famous brands, latest fashions and stylish shopping centers are some of the vital factors that makes shopping in Armenia the best. There are different types of shops in Armenia like that of electronic goods shop, stationery, jeweleries and also shops of sports equipment. A travel to Armenia remains incomplete without Armenia Shopping. Vernissage is the best center of shopping in Armenia where people gather in thousands. It sells attractive tokens and show-pieces as well as beautiful handworks of Armenia. Apart from these, carpets, embroideries and Armenian dolls are also found here. This shopping center remains open only on the weekends and is marked as an ideal shopping complex of Armenia. There are also many sweet shops in Armenia which are often visited by large number of tourists. Armenian sweet shops attracts people hugely and they too love to visit the sweet shops. The Shuka market is reputed for its vegetables, fruits and American sweets which is also one of the busiest centers of shopping in Armenia Various kinds of nuts, raisins and sweets are also found in this market. Accent Clothing – Famous fashion store of Armenia and well known for shopping in Armenia . Serendippity Gifts – Known for Christmas gifts and decorations. Collectible Coins Store – Known for antique coins and paper money. Perfume’s Life – Known for women’s perfume.